Episode 12: Is Horseback Riding Dangerous? In this season, I am focusing on the rider’s body. 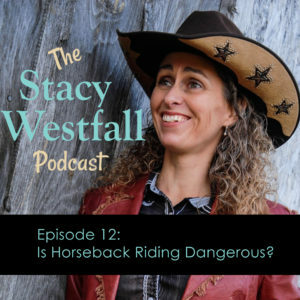 In this episode, I’ll be discussing four different aspects of danger including is horseback riding dangerous, how can we manage the risk, the main mistake I see rider’s make, and exercises for improvement. [02:01] We all know that horse riding can be dangerous. [02:33] Driving in cars is also dangerous, and it’s something people do everyday. 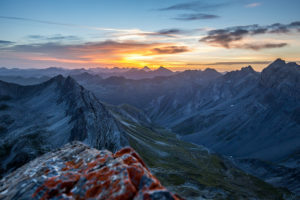 [03:15] We realize there is risk, and we realize that we can do some things to reduce that risk. [03:43] A horse without training can be like a car with a failing brake system. [04:06] What creates danger? 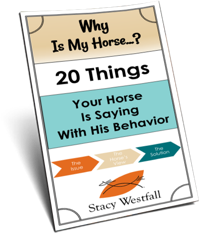 A rider that lacks training or a horse that lacks training are the two things where we can control the risk level. [05:40] The way we can manage risk when riding is to physically hard wire a response into our bodies and our horse’s body. [06:08] Our physical ability changes as we age. This changes how we have to think about and plan about hardwiring a response. [07:05] I’ve taught people how to do an emergency dismounts and emergency stop and dismounts. [08:31] You don’t have to wait until you’re in the middle of an emergency to practice things like emergency dismounts if you hard wire them into your body. [09:43] It’s good for you and your horse to practice mounting and dismounting from both sides. [10:24] Having these tactics hardwired into your body gives you a level of confidence if an emergency does happen. [10:54] Mistakes people often make is not practicing the emergency stop and dismount or practicing too much and not moving forward. [12:26] It’s a trend for people to learn to rely on the one rein stop. This is like using an emergency brake for your main braking system. Not practicing for emergencies at all is an equal problem. [13:32] There is also a mental component to this. You need to have multiple ways to stop your horse. Finding the balance is really important. [15:03] Switching the rider isn’t going to fix the problem of a horse that isn’t hardwired for a safe response. [15:23] I don’t have to think about how to grab the saddle horn when riding. [16:05] I don’t have to think about which direction I would take the horse’s head if I needed to bend the horse around. [17:01] The third thing is a little more broad, it’s basically to move your expectations higher. [17:44] Ask yourself if you can smoothly stop and get off quickly. If not, you need to evaluate if there is something you can change. [18:12] What can you control that would make things better? [18:30] Take your horse to the next level and move up to high school. 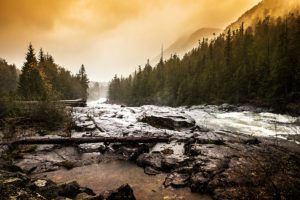 [18:45] If you are struggling with fears, write down your fears and determine which one points towards physical danger. Then make a plan and practice it. Yay! Season 2! I am so looking forward to it! 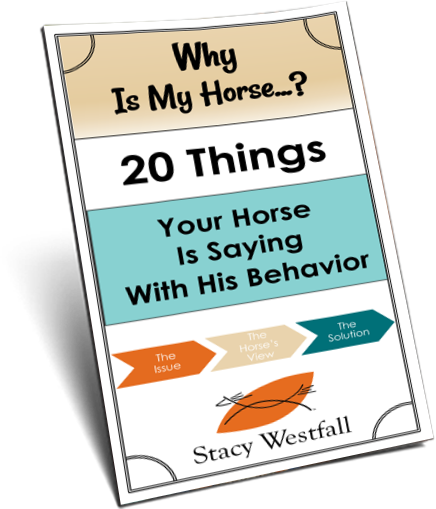 Stacy, this episode made me realize I have yet to teach my non-horseperson husband the emergency dismount. I taught him the “emergency brake” the first time he rode solo when we began dating, but we’ve just entered our 4th year of marriage – I’d better get on that dismount lesson! 😀 He rides very rarely but I always have every intention of setting him up for success – and safety – when he does join me! Thank you again so much for providing us with this excellent podcast! Sounds like a great plan! I’m starting Presto under saddle right now and it is a great reminder of practicing the dismount. Practicing holding the horn (unsteady horses are unbalanced) and practicing looking ahead for potential problems. I wish someone had taught me the emergency dismount from my brother’s dirt bike…crashing worked but its the last dirt bike I rode!